Melting sea ice and warmer ocean temperatures are affecting the fish that penguins eat. Overfishing and oil pollution are other threats. Pamela Hall is with the Fish and Wildlife Service. 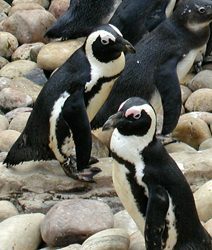 The agency wants to put seven species of penguins on the endangered species list. Government scientists say the emperor penguin populations are stable right now… though they say that could change in the future.